February 15 has become a battlefield. After a quiet start to the year, four notable new releases have clustered together on this single day, all vying for consumers' time and money. That particular Friday will see the arrival of the long-awaited Crackdown 3, Ubisoft's surprise spin-off Far Cry: New Dawn, niche brawler Jump Force, and Deep Silver's post-apocalyptic shooter Metro Exodus. -- is due on shelves the following week. Faced with such competition, how can Metro Exodus -- a single-player shooter based on a series of Russian novels -- ever hope to compete? "Let's wait and see," Deep Silver's head of global brand management Huw Beynon tells GamesIndustry.biz. "We're confident Metro has an audience that's been looking forward to this for a long time." So confident is the publisher that Beynon rules out the notion of moving to a different date (and not just because we're only a few weeks away from launch). Exodus has already seen its launch shifted twice: once out of a crowded Q4 and into February "to give the studio more time", and then more recently it was brought a week forward. "We're very happy with where the game's at in terms of quality, so we want it to release," says Beynon. So, where does Metro fit in this three-way scuffle? Both Crackdown and Far Cry are AAA franchises -- although the former has been absent for just shy of a decade -- while Metro, when it first released, was distinctly mid-tier. A mere glance at the screenshots or trailers show developer 4A Games has upped the ante, perhaps striving for AAA quality, with Exodus. Is that how Deep Silver is positioning it? "I don't really hold much truck with those labels," says Beynon. "What we're offering with this game is a really content-packed, story-driven experience. For me, the natural audience for this game are people who have enjoyed things like Horizon: Zero Dawn, or something like a Witcher -- grown-up, mature, serious single-player, story-driven experience. There's been a real renaissance of those recently. "You could say maybe that Far Cry is a competitor because it's also post-apocalyptic, but I think that's quite a shallow comparison. 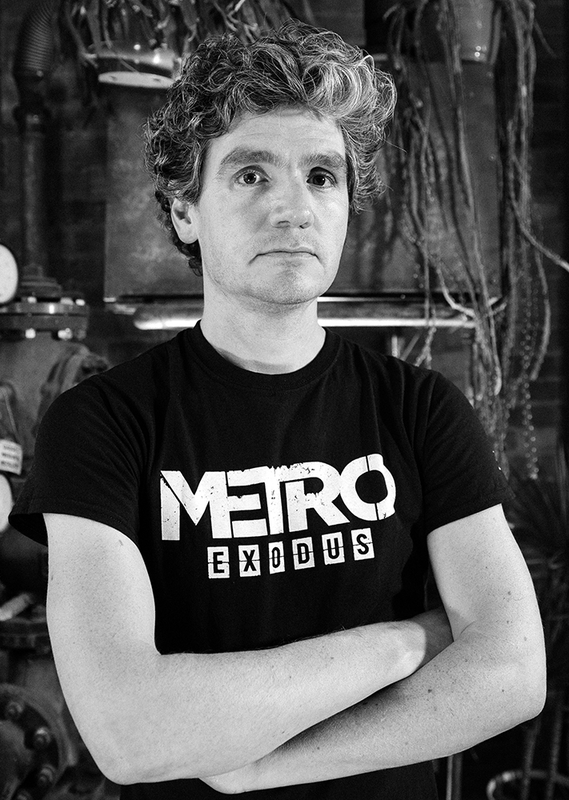 I think people will recognise that Metro's going to offer them that rich, believable world with deep storytelling. We have the benefit of working with Dmitry Glukhovsky and all the literary pedigree he brings to it. We're a very different style of game to anything that's coming out once you look beneath the surface." Exodus also has several advantages over its predecessors. To begin with, it was unveiled as the opening of Microsoft's E3 2017 press conference (above), a slot Beynon describes as "a massive boost for us". And the publishing circumstances for the series have changed significantly since its debut. "When the first game released, Metro 2033 had an absolutely miniscule budget behind it in the THQ days and very modest expectations -- it's gone on to be a cult hit," Beynon explains. "Metro: Last Light launched in a difficult period when THQ had fallen apart and handed the IP over to Deep Silver, but really interesting things have happened since then. "We've come out all guns blazing at the start of the year rather than trying to waste too much ammunition going head-to-head with [Q4 titles]"
"The Metro Redux remaster has performed phenomenally well for us and continues to do so long after release -- in fact, since the announce of Exodus, it's brought literally millions of people into the franchise. So we feel really happy that not only do we have a significant audience and a fanbase who are looking forward to this, but also things like the Microsoft reveal for us and the weight of campaign that Deep Silver is throwing behind it. The previous games didn't enjoy that, so I'm confident about our release window." The big E3 reveal put Exodus -- and indeed Metro -- on the map for many, but Beynon and his team have been cautious when capitalising on this flurry of interest, avoiding the "temptation to throw loads and loads of stuff after it". As a result, the game has stood out that little bit more when it has appeared since; a trailer at The Game Awards 2017, a cover feature in Game Informer, another slot at Microsoft's E3 showcase, and hands-on opportunities at Gamescom, EGX and more. Yet as Q4 approached, Deep Silver purposefully took its foot off that gas a little, knowing the folly of attempting to shout above the noise of pre-Christmas blockbusters. "At that time of year, all of those big Q4 titles... people were looking forward to Red Dead and the big titles coming out that time of year," Beyond says. "The awareness that [Exodus] is on the horizon is there, but it's better to wait for those titles to be done and then in the New Year, the decks are wiped clear and all of a sudden we've seen this massive rush of interest as people are looking forward to what's coming out next." Metro Exodus has "featured really prominently" in the media's various games of 2019 round-ups, and this month Deep Silver committed to a week of major daily reveals. 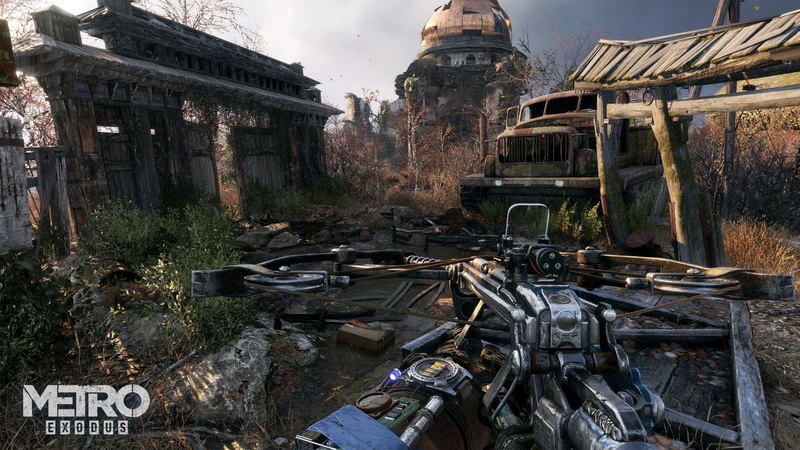 These ranged for assets aimed at broader audiences, such as the story trailer, to fan-pleasing announcements like the addition of photo mode and the special Artyom Edition (so special that only ten have been made). "We've come out all guns blazing at the start of the year rather than trying to waste too much ammunition going head-to-head with titles that are in-store and available to buy," says Beynon. Even so, there's no escaping how crowded February 15 is looking. No matter how much interest a game can garner, consumers are still only likely to purchase one, maybe two titles that day. The rest will be relegated to that "I'll get it later" or "When it's in the sale" box we all have in our minds -- and Beynon believes his team is doing all it can to spare Exodus that fate. "I can't make that consumer's mind up for them, they've got to choose the one they think is the must-have game," he admits. "All we can do is make the very best game we can, and do the best we can to give it the exposure it deserves. He adds: "I can't go into specifics in terms of commercial expectations but I would be extremely surprised if it didn't perform better than the previous ones." While Beynon avoids discussing commercial targets, you can bet there are those at Deep Silver who are hoping for big things from Metro Exodus. The publisher has seen a couple of notable disappoints over the past years in the form of Agents of Mayhem and Homefront: The Revolution, although the firm has since been boosted by its acquisition by THQ Nordic. Of course, Deep Silver continues to operate somewhat separately from its new parent so you would be forgiven for assuming there's pressure on Metro to succeed as the publisher's next big release -- although Beynon dismisses this. "We have our own expectations for Metro and we look at it in those terms," he says. "I think this title has huge potential. From start to finish, we've done our utmost to give it the exposure and promotion I think it deserves. We'll just have to wait and see come launch."